Choopy Lures: The Saltwater Edge has been restocked! The Saltwater Edge has been restocked! Well, the title says it all. After their store was drained just about dry, I got some more plugs shipped out to The Saltwater Edge for you guys. The fall fishing is heating up, so check out what they have in stock before its gone again. 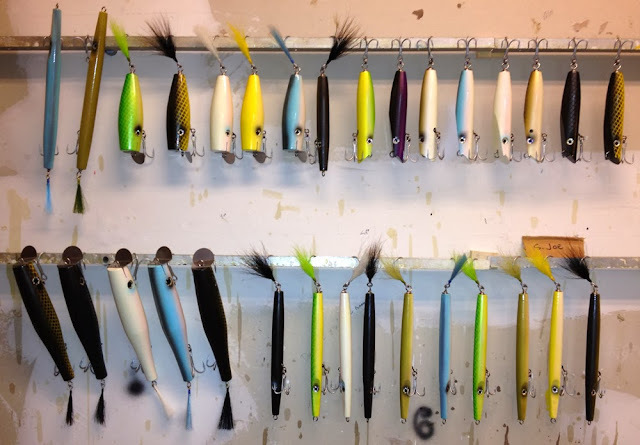 Here's a sampling of some of the lures they received. I'll let the picture do all the talking.